Whenever one visits the waterfront at the foot of King Street, you can’t help but feel enchanted by the fresh breeze and the amazing view overlooking the Potomac River. However, most of the space is occupied by the exclusive boat house and its enormous parking lot. 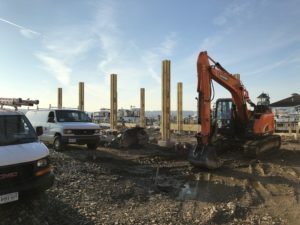 Therefore, it is no surprise the City of Alexandria has begun construction on the King Street Waterfront Project. The first phase of which is the Interim Fitzgerald Park. 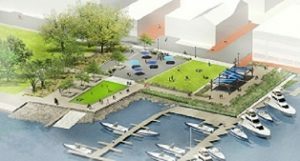 It will connect people to King Street, the existing waterfront park, the torpedo factory, Whales Alley, and The Strand, all from one place. 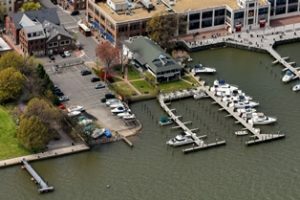 The idea of the park is to combine the Old Dominion Boat Club, the King Street Park, and the asphalt parking lot next to it, into one single entity. This is the existing condition of the area. This is what it is supposed to look like after the project is finished. The ODBC club will be torn down and turned into a shaded lunch area. 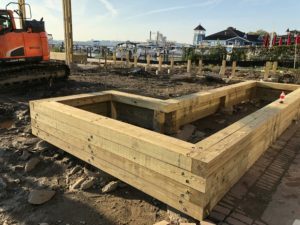 The current King Street Park will be turned into a clean, grassy, lawn are where people can come and have picnics with their friends and family. The part of parking lot that is used by cars will be turned into a kind of an event area with movable plant and shade fixtures. It is intended to accommodate many events, like picnics, outdoor movie nights, ice skating in the winter, and more. 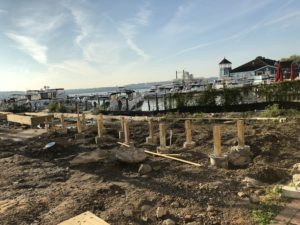 The part of the parking lot occupied currently by boats will be turned into another lawn area that will provide beautiful, panoramic, views of the Potomac River. Alexandria, 13 Sept. 2018, www.alexandriava.gov/special/waterfront/default.aspx?id=89727.